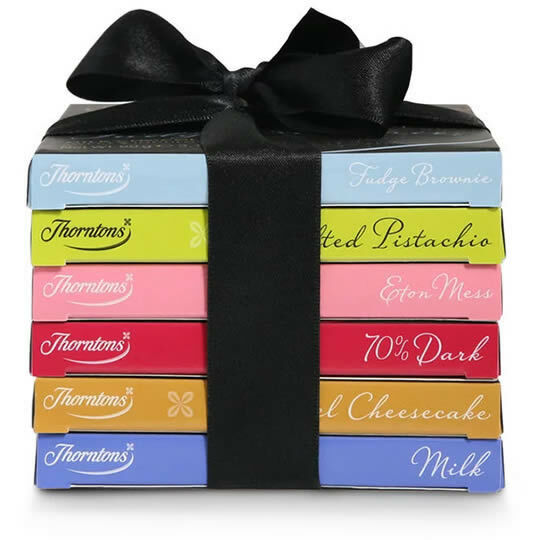 The Thorntons Mini Chocolate Block Tower, a chocolate gift for Thorntons chocolate lovers; six chocolate bars from Thorntons, stacked in top of each other and presented as a ribbon tied gift. 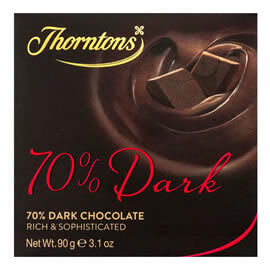 Thorntons 70% Dark Chocolate Bar. 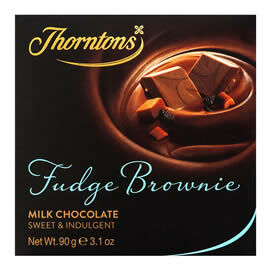 Thorntons Fudge Brownie Milk Chocolate Bar. 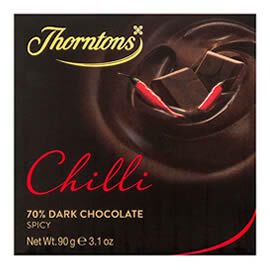 Thorntons Salted Pistachio Milk Chocolate Bar. 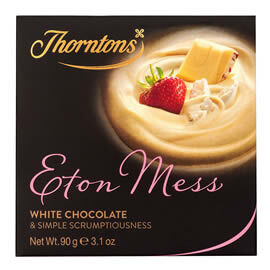 Thorntons Eton Mess White Chocolate Bar. 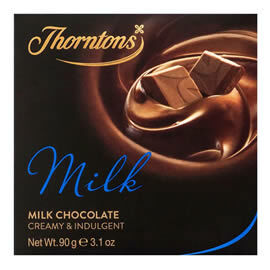 Thorntons Caramel Cheesecake Milk Chocolate Bar. Also available is Thorntons' Tall Chocolate Block Tower, a larger version with thirteen chocolate bars. 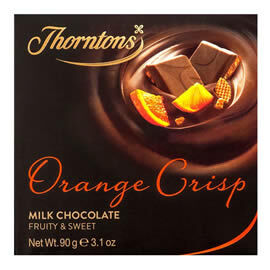 Six chocolate bars from Thorntons tied with a box, a selection of flavoured and plain chocolate blocks from Thorntons Chocolate Block range.